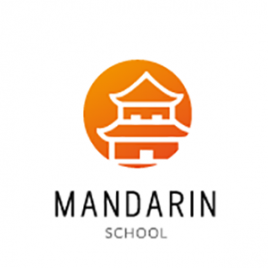 Mandarin school արևելյան լեզուների ուսուցման միջազգային կենտրոնը առաջարկում է չինարեն, ճապոներեն, կորեերեն, թուրքերեն, արաբերան և պարսկերեն լեզուների ուսուցում: Ուսուցումը տեղի է ունենում Ճոու Յաոփինի հատուկ մեթոդով, որը հնարավորություն է տալիս կարճ ժամանակահատվածում հեշտությամբ յուրացնել լեզուն: Կենտրոնը նախապատրաստում է միջազգային քննություններին՝ HSK, TOPIK, JLPT, առաջակում է մասնագիտացված ուսուցում ևս, ինչպես նաև բիզնես ծրագիր Mandarin business intelligent , հզոր ուսուցողական առցանց հարթակ ProMandarin: Դպրոցը համագործակցում է Չինաստանի և Կորեայի մի շարք համալսարանների հետ: Ուսուցումը նախատեսված է 3-103 տ անձանց համար: ''Mandarin school '' eastern languages teaching international centre suggests Chinese, Japanese, Korean, Turkish, Arabian and Persian languages teaching. The teaching is guided by Zhou Yaoping special method, which gives you an opportunity to study language in a short time. The centre teaches for international exams, such as: HSK, TOPIK, JLPT, suggests professional teaching as well, besides also business program Mandarin business intelligent, strong training online ProMandarin. The school cooperates with several universities of China and Korea. The teaching is destine for the people from 3 to 103 years old.